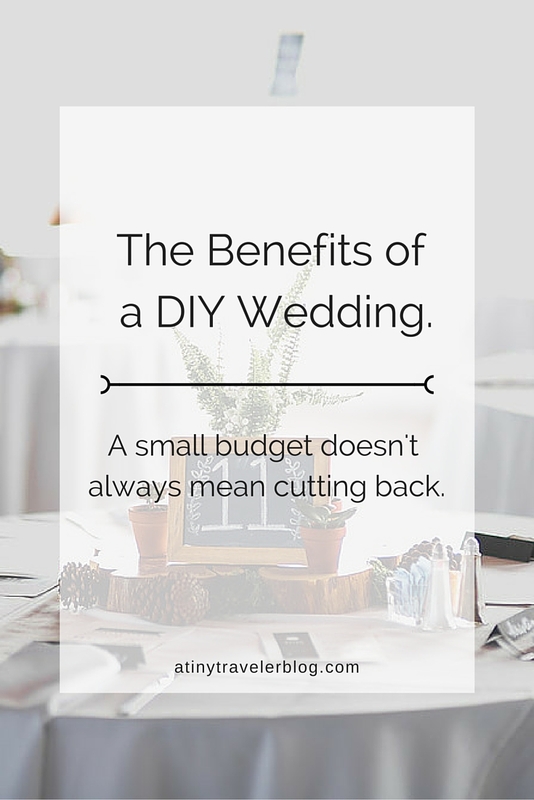 The Benefits of a DIY Wedding. So after all the reminiscing, I decided to share some of my thoughts about the DIY portions of our wedding. I'm going to be very honest, I surprised myself when it was all said and done. 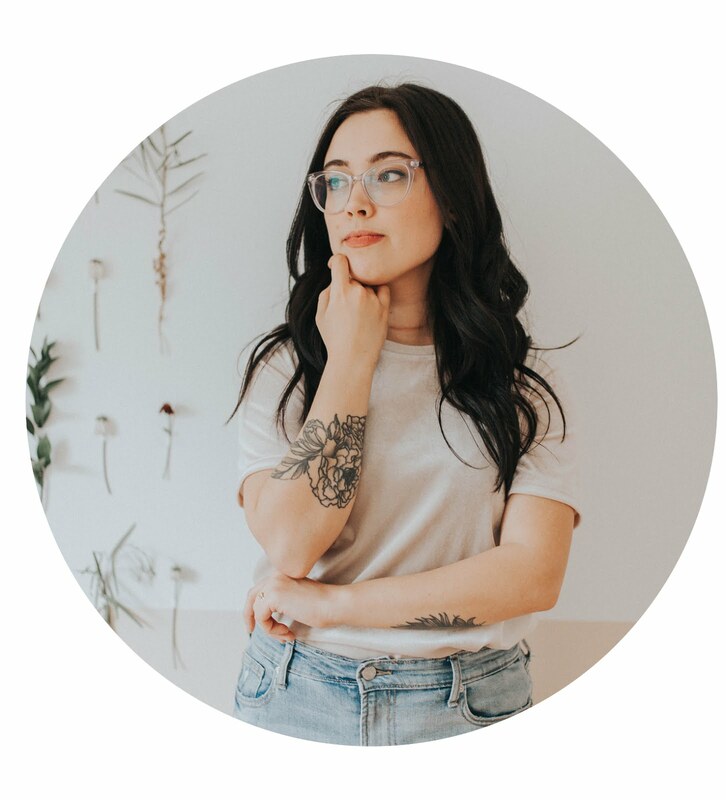 You sort of expect to take what you can get when you don't have a ton of money and I was nervous that I would be a bit disappointed, but with the help of Pinterest, crafty friends, and some hard work I loved everything about it! 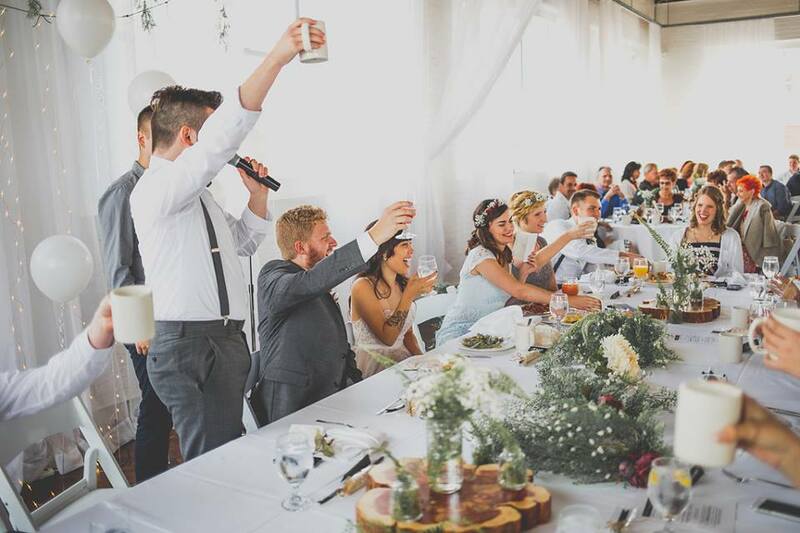 Below are a few pictures of parts of our ceremony and reception that we made ourselves. 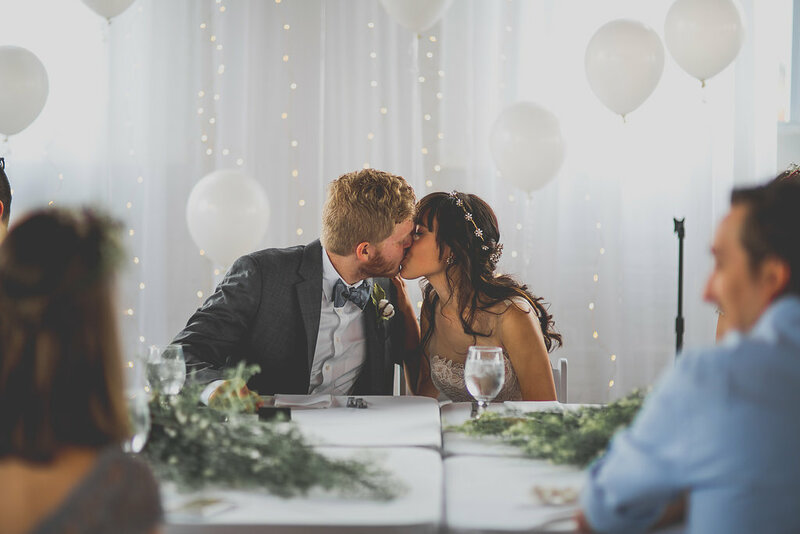 Hopefully they can be an inspiration to anyone planning their wedding on a budget, and can show you that just because you can't spend thousands of dollars you can have a beautiful, decorated space! 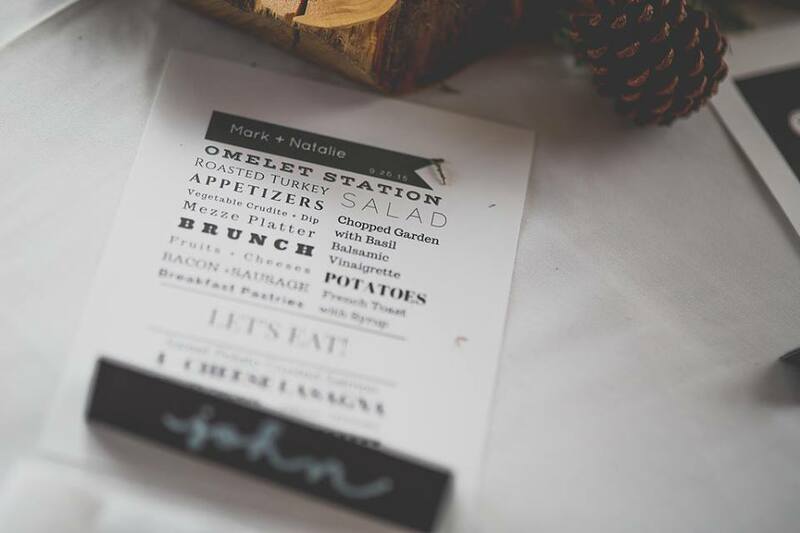 Little details, like a personalized schedule for the day make good memories. Flower crowns (if that's your style) are super pretty and easy to make! Instead of paying extra at a florist, look up tutorials on Pinterest or Youtube and make your own! 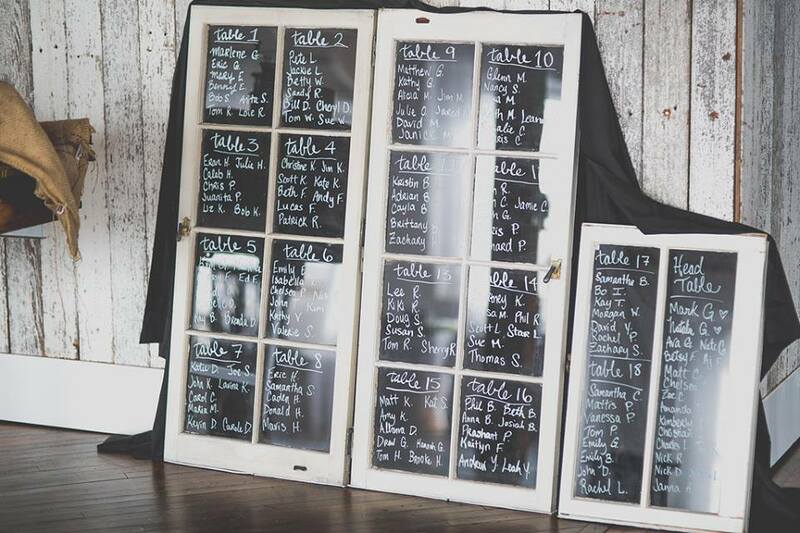 We found these old windows at a home sale and decided to use them for our seating chart! I loved this element because it was unique, vintage, and fun to make. I designed our menu cards on Canva one night and (after several attempts) finally got something I liked! 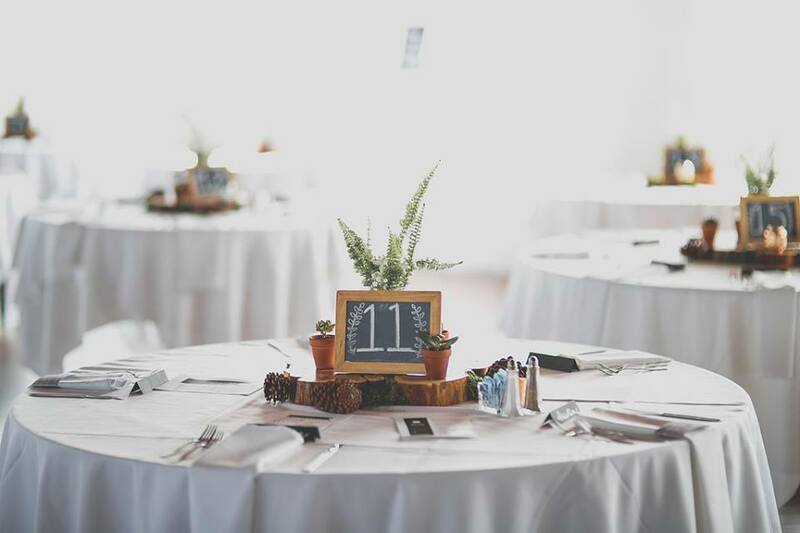 We used little chalkboards for our table numbers, a slab of wood for the base, a few succulents and ferns to add greenery, and then pinecones and moss for the final "woodland" touch! Designing the tables was one of my favorite parts. 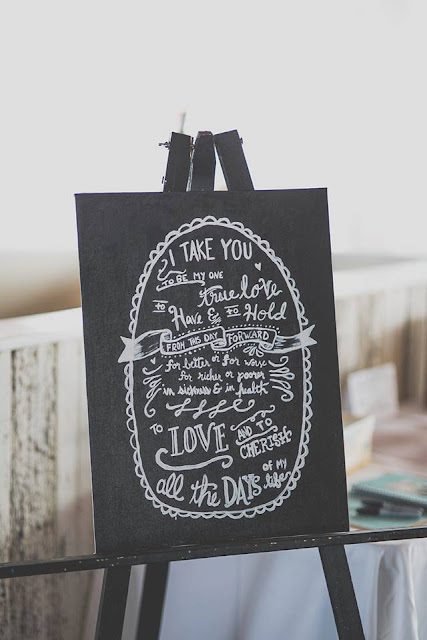 I also painted a few canvases to put in the windowsills and on easels around our venue. 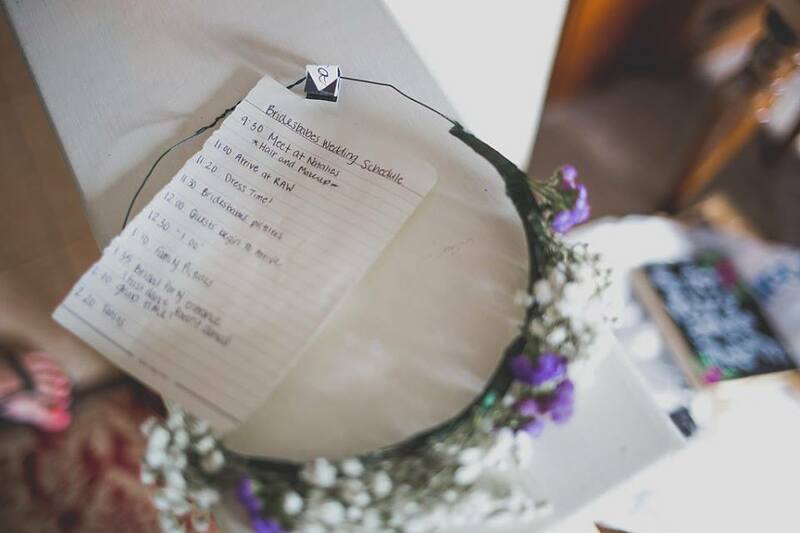 I put song lyrics, some of our favorite quotes, and little personal details like how many days we'd been in love and the wedding day schedule! When we danced our first dance, in between the smiles and whispers in our first moments of marriage, I looked around at family and friends and the decorated venue and was so content. That moment, I knew that all the hard work, dreaming, and late nights getting things ready had paid off. Another thing that we did was make our own boutonnieres and bouquets. I LOVE fresh flowers. Absolutely love them. 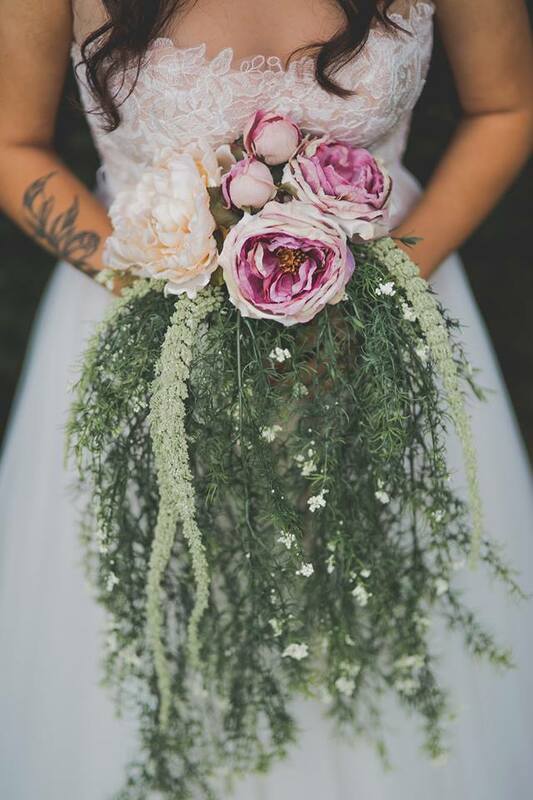 I wanted to try and save money by maybe getting flowers at Trader Joe's or Whole Foods but we had no way to keep them fresh for two days leading up to wedding. I browsed around Michael's craft store and found some really pretty flowers that looked almost real (not plastic or cheap) and then some cotton blossoms for the boutonnieres. With the help of some scissors, hot glue, and flower wire, our bouquets were done! 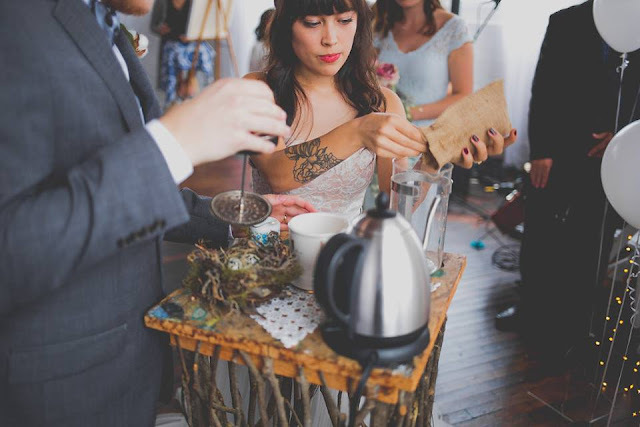 In addition to the ceremony, we had a coffee bar at the reception! Our friends Leah and Andrew (who recently announced they're pregnant! Yay!) made 2 different kinds of coffee for our guests. 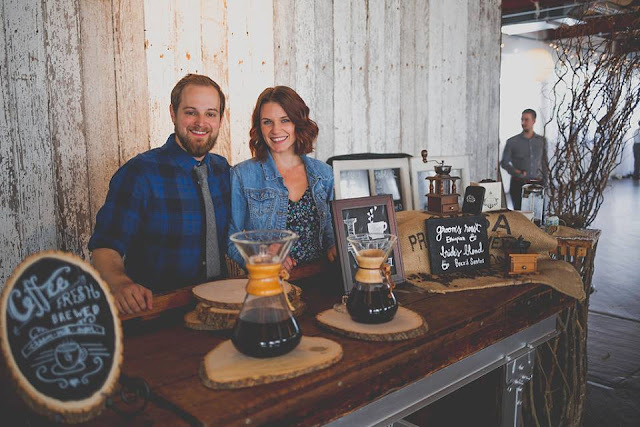 We settled on the "Bride's Blend" (Brazil Santos) and The "Groom's Roast" (Ethiopian) from Elementary Coffee Co in Harrisburg, Pa. We decorated the little "coffee bar" with signs that I made and Leah & Andrew had brought, as well as old coffee grinders and burlap. Because they were our friends and we got the coffee ourselves it ended up being beautiful memory, and added personal touches too! One of the less happy parts of our day was the fact that my brother couldn't be there. 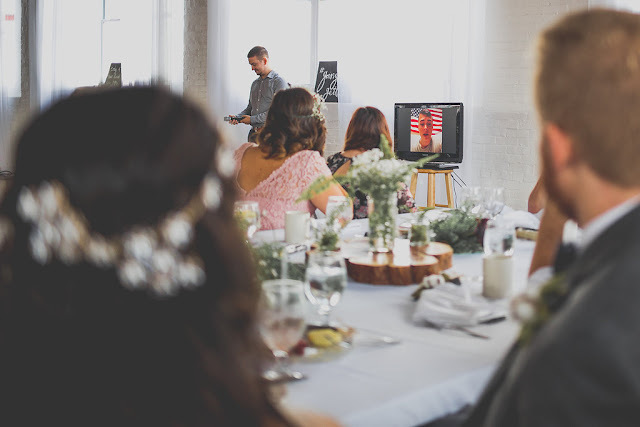 He was serving overseas in Afghanistan and decided to record a message that we played on a tv during the time of the toasts. It was full of tears, but I am so glad that we were able to do that, as well as record our ceremony on Periscope so that he could watch! Last, but not least, we used string lights, sheer fabric, and white balloons to decorate our "altar." After the ceremony when the bridal party was out taking photos the head table was moved in front of the altar and it made a really pretty backdrop during our lunch! 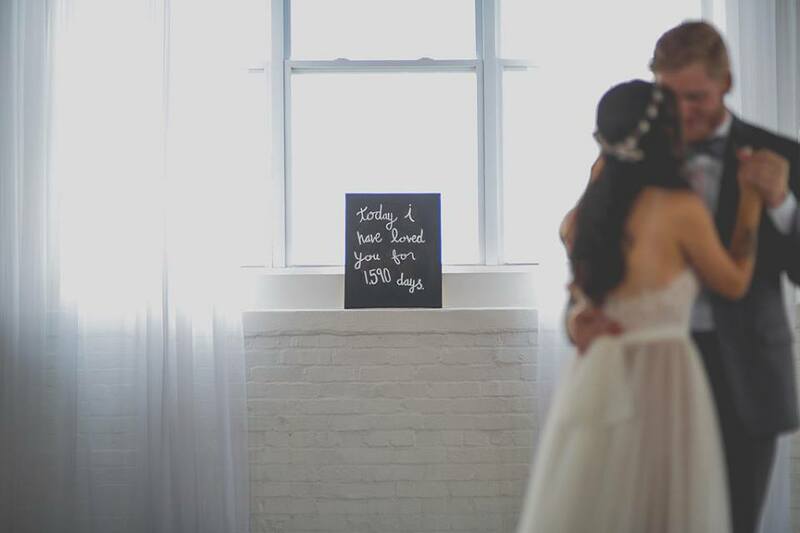 Looking back, I loved every little personal detail that we incorporated into our special day. 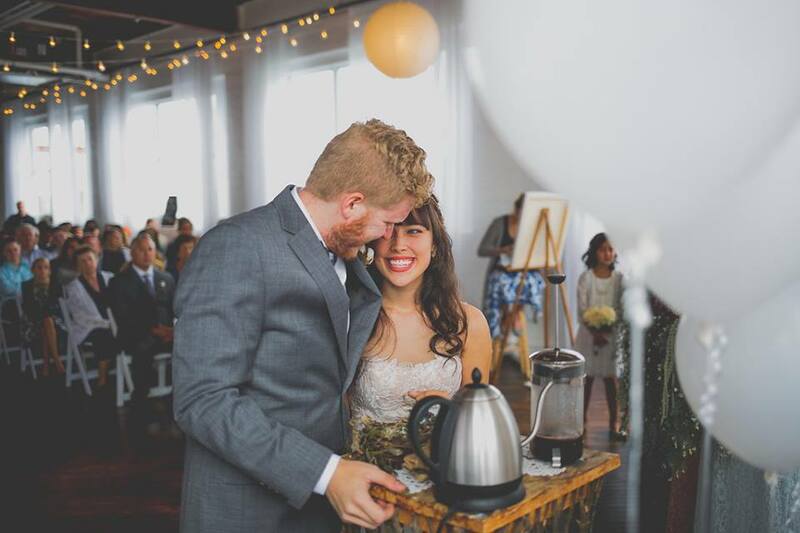 It was filled with laughter and love and a beautiful start to our new life together, all while costing us less than a few thousand dollars! 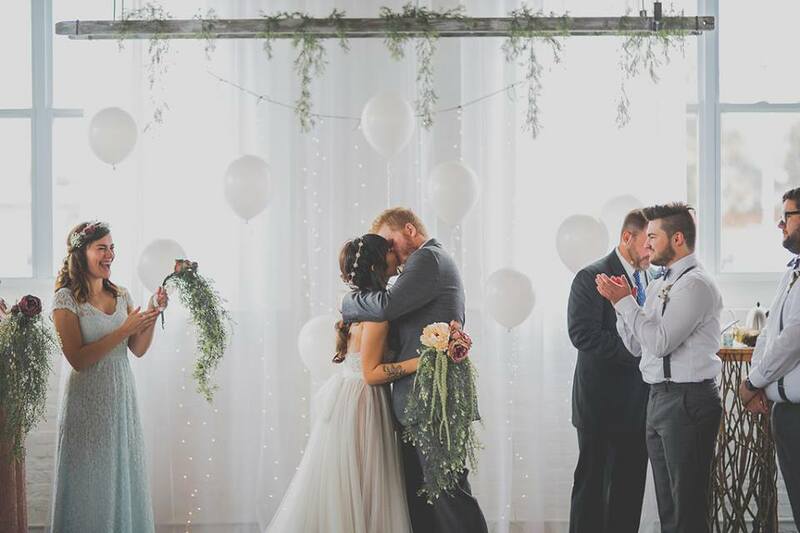 So, if you're in the process of planning your wedding and are looking to cut a few costs, ask family and friends for help (maybe they have artistic skills or can help cater your ceremony) and don't be afraid to buy a couple helium balloons from the dollar store and glass vases from Goodwill! 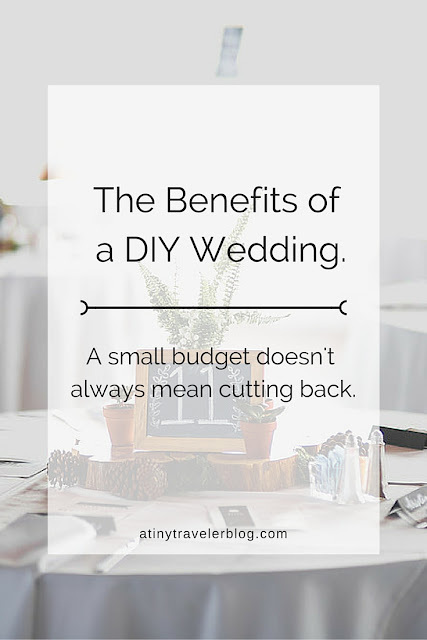 So, what are the benefits of a DIY wedding? You save money. 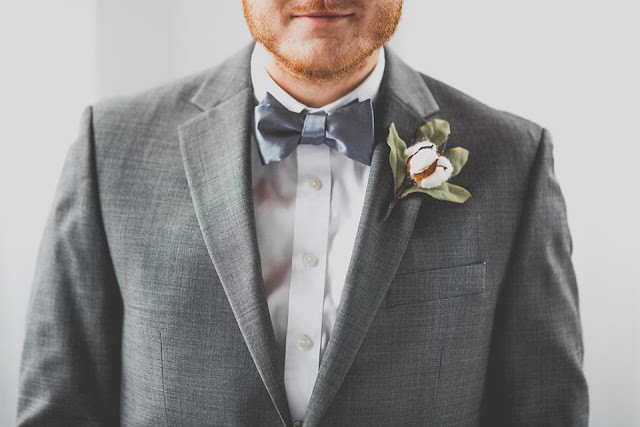 Your personal touches make the ceremony and reception evident of who you and your spouse are. 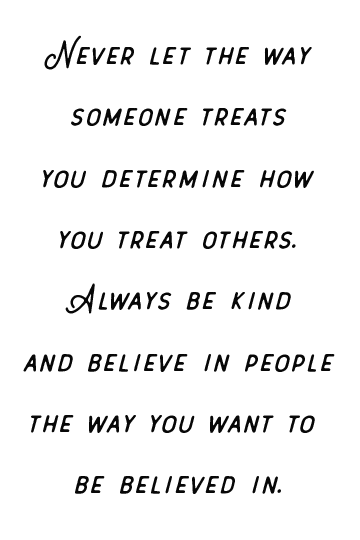 You get to be creative. Did I mention you save money?